Discussion in 'Psychology' started by dealmaker, Apr 14, 2019. I’VE SPENT THE LAST 15 YEARS INTERVIEWING NEARLY 1,000 TOP PERFORMERS — FROM ARTISTS TO ATHLETES, AUTHORS TO ENTREPRENEURS, INTELLIGENCE OPERATIVES TO ACADEMICS — ABOUT THE MINDSETS, TECHNIQUES, AND EXPERIENCES THAT HAVE DRIVEN THEIR SUCCESS. I’VE TALKED TO LEGENDARY AUTHOR Robert Greene about envy and emotional baggage, learned about suffering and hustle from singer-songwriter Mike Posner, and come to understand the world as a dog whisperer with world-renowned animal trainer Cesar Millan, just to name a few. On The Jordan Harbinger Show, I explore the playbooks, life stories and principles of top performers. In this piece, I’ll be sharing the 10 most important lessons I’ve learned from my most successful guests, so that you can put them into practice, too. Actively invest in your growth. Every top performer I’ve interviewed is constantly learning. But they’re not just setting aside time to acquire new skills. They’re not just open to getting better. They’re actively investing in their own growth, as if it were a product to build or an opportunity to pursue. In almost every case, that investment includes some form of professional coaching. If they’re competing in marathons, they’re working with a top track and field coach. If they’re seeing patients or clients, they’re studying under top clinicians. If they’re creating music, they’re actively studying from the best producers. This coaching might be formal or informal, regimented or opportunistic, but either way, they’re proactively growing through close relationships with other experts in their fields. What this means, really, is that all top performers are perpetual students. No matter how good they get, they are always confronting their own limitations, seeking out opportunities to evolve, and pushing their expertise further. They know that to get good — and to get good quickly — they need to invest in themselves in partnership with other experts. Cal Newport famously preaches the power of focus and the destructiveness of distraction. His simple wisdom shows up in every conversation I have with top performers, who all confirm that immersing themselves fully in one activity at a time is the secret to high-quality work. This principle applies to every task you take on in life, big or small. If you’re reading, read to engage, to understand, to question, and to absorb. Resist the urge to speed-read — no matter what productivity hackers tell you — or to multitask as you learn. If you’re in a conversation, remain fully present in the conversation, and consciously choose not to check your phone, indulge your thoughts or parallel process on other work. This simple principle is the secret to maximizing value from every opportunity, every interaction. Interestingly, many of my guests say that focus isn’t just the key to quality, but also to efficiency. They find that if they truly focus on one thing at a time, giving it their full attention, they usually end up saving time — because they don’t need to revisit their work, question their decisions or waste time and cognitive cycles toggling between activities. We live in an age that encourages us to listen to audiobooks while we work out, to have multiple browser tabs open at a time, to answer email while we take meetings — in short, to be in multiple places at once. But the most successful people check that urge, knowing their best contributions come from giving someone or something their full attention. Delegating work to the people around you is age-old advice. Interestingly, many of the people I’ve interviewed say that they find delegation one of the most difficult — but important — policies to embrace. Why? Because top performers tend to be talented, driven, and responsible people who struggle with asking for help and giving up control. They also feel deep gratification when they do good work, and assigning it out often means giving up the opportunity to enjoy the fruits of that labor. Intellectually, they understand the value of delegation. Emotionally, they find it challenging. All experts, however, delegate consciously. Not just to enjoy more productivity, which is the most obvious benefit, but to improve their organizations and empower the people around them. Successful people actively seek out bottlenecks in their processes (especially if that bottleneck is them! ), identify tasks that would allow other people to thrive, and free up time to capitalize on their unique abilities. Over time, they make the majority of their work something only they can do. Once I realized how important this principle is, I made some major adjustments in my own career. Now, for example, I delegate social media, customer service and vendor management to my team, who do an excellent job, and spend most of my time on preparing for interviews and being fully present in my conversations — which is how I can best serve the show and its listeners. Mine your own life for value. Successful people in every field understand that their most valuable assets are deeply personal, highly idiosyncratic, and sometimes uncomfortable to share with the world. They eventually discover that to create unique value — whether it’s a life-changing therapeutic approach or a killer pop song — they have to dig deep within themselves. Mike Posner, for example, sees his mission as sharing his suffering with the world through his music. By sharing it, he creates art that is truly meaningful to his audience, songs that come from a place of honesty and authenticity. In the process, he also resolves his own conflicts, transmuting pain into meaning, insight and joy. This often means digging into personal material that seems unacceptable, shameful, or straight-up “ugly.” The leading psychologists I’ve interviewed all had to confront their own traumas in order to empathize with their patients. The top entrepreneurs I’ve sat with all had to share difficult personal stories from their own lives to lead teams of other high performers. Mining your own life for material doesn’t just apply to making art. It’s the key to inspiring leadership, deep relationships and true vulnerability — qualities of every top performer. Consciously choose what you talk and think about. I’ve noticed over the years that successful people spend a lot of time talking about ideas, systems, and experiences. They tend to debate current models, invent new approaches and reflect on key decisions. They discuss policies, challenges and craft. They geek out about issues, questions and stories they find meaningful. I’ve also realized that successful people don’t talk about certain things. For example, they tend not to talk very much about other people. They don’t indulge in gossip or speculation. They tend to avoid the impulse to complain or blame. They understand that the thoughts they think and the topics they discuss directly dictate the quality of their ideas, solutions and moods. In other words, top performers consciously choose what they talk and think about, which means they are incredibly disciplined about what they don’t talk and think about. That’s how they focus on the words and thoughts that lead to positivity, generosity and accountability. Look for the hard jobs. Every meaningful goal — whether it’s building a company, recording an album or curing an addiction — involves a handful of extraordinarily hard jobs. Most people avoid those hard jobs, consciously or unconsciously, because they’re simply too daunting. Successful people, however, actively seek them out, knowing that tackling a hard job is often the difference between success and failure. Top salespeople seek out meetings with their most demanding customers. Strong coaches tackle deep problems in their clients. Leading scientists take responsibility for the mind-numbing experiments that lead to big breakthroughs. In contrast, most of us tend to choose our tasks based on our interests and feelings. Even talented people suffer from this impulse, because they gravitate to projects they are naturally adept at managing. In some contexts, they’re actually rewarded for that impulse — like the talented engineer who rises up in a company by making a product great, and then spends most of her time as a leader obsessing over the product while neglecting other important problems that need to be solved. A hard job is a necessary job. A necessary job holds the key to major progress, growth and breakthrough. Top performers seek those hard jobs out. And because they do, they enjoy a deeper connection to their work, in addition to greater rewards for their effort. Know that pursuing your purpose is hard. Top performers understand that pursuing your purpose professionally requires tremendous sacrifice. What seems like the dream — to spend your time working on projects you actually care about — almost always creates misery, heartache and disappointment at one point or another. Successful people know that this is the price they pay for meaningful work, and they have developed playbooks to cope with that difficulty. They separate their purpose from their happiness, continue to execute on small tasks, discuss their challenges with other people, and resist the urge to indulge their despair. Most importantly, they use their struggles to give their purpose even greater meaning. They know that choosing to be relentlessly positive can actually work against them, and they recognize when their struggle is telling them to change their approach. That’s how they persevere when things get tough — and deepen their connection to their work. I’ve never heard a success story that wasn’t built on deep and significant relationships. Top performers understand that these relationships are the key to their success, and they prioritize them — by setting aside time to invest in other people, and taking their success as seriously as they take their own. They know that a thriving network is a powerful sales engine, learning mechanism and insurance policy in their careers — that relationships are truly their greatest asset. But relationship-building isn’t just a task in their lives. It’s a layer to it. Successful people tend to explore the world through their relationships, using them to learn about their organizations, themselves, and the potential of their work. When it comes to making new connections, they systematize their networking in a thoughtful way — by setting aside time in their calendars, using software when appropriate, and building networking into their processes and policies. At the same time, top performers are incredibly disciplined about their relationship-building. They don’t spend hours connecting with as many people as possible, even when they’re in a position to (a very common and tempting distraction!). They invest deeply in a handful of close relationships, focusing on quality over quantity, giving more of themselves in each one. I was surprised to discover over the years that famous people, who have access to more people than most, tend to have a handful of incredibly close connections in their lives. Then I realized that the fact that they only have a handful is actually a key to their success — to say nothing of the fact that we only have so much time in a day, no matter how important we are. Top performers operate with the same basic hardware that we do. One advantage they do have, however, is a grasp of their own weaknesses. They cultivate that advantage by identifying their cognitive biases — those mental quirks that lead them astray from rational thought. The most common cognitive bias I’ve discussed with top performers is the fundamental attribution error. This common bias leads us to explain other people’s behavior in terms of their character or intent, rather than external or circumstantial factors. It’s the quirk in our brains that labels people as “bad” or “malicious” when they do something to wrong us, as opposed to appreciating any number of other variables at play. Controlling for this cognitive bias is a superpower. The top leaders I’ve interviewed all work to understand how their psychology can lead them astray, and take steps to correct for those biases, by resisting the impulse to judge prematurely and proactively seeking out more data. As they develop ways to mitigate these cognitive biases, they turn them into tiny habits that lead to huge outcomes. Mitigating the fundamental attribution error in particular helps top performers cultivate greater empathy and arrive at better judgments. It also allows them to master another superpower I’ve noticed in successful people: the ability to not take things personally. One of my favorite discoveries over the years is how often successful people fail. Though we live in the age of the social media highlight reel, in which our public lives are curated into flawlessness, top performers openly discuss their mistakes, missed opportunities and failures. They embrace these failures for a few important reasons. First, by owning them, they reduce the shame and discomfort surrounding their missteps. Second, by sharing their failures, they find meaning in them, and allow their stories to serve as models to other people. Third, and most importantly, they know that their greatest strengths, lessons and insights were forged in periods of failure — that they are successful because they failed. Knowing all that, top performs do more than just accept their failures. They seek them out. For example, Brian Scudamore, who pioneered the industry of professional junk removal with 1-800-GOT-JUNK?, actually developed a system he calls his WTF (“willing to fail”) philosophy. He actively looks for ways to harness his small failures along the way, in order to avoid unnecessary catastrophes down the line. Hundreds of other top performers describe a similar relationship to their missteps. They don’t just accept failure, but consciously choose to reframe those failures as incredible learning opportunities — in other words, as gifts. In the process, they use their darkest periods to cultivate even more gratitude for their journeys — which might be the most significant lesson of all. 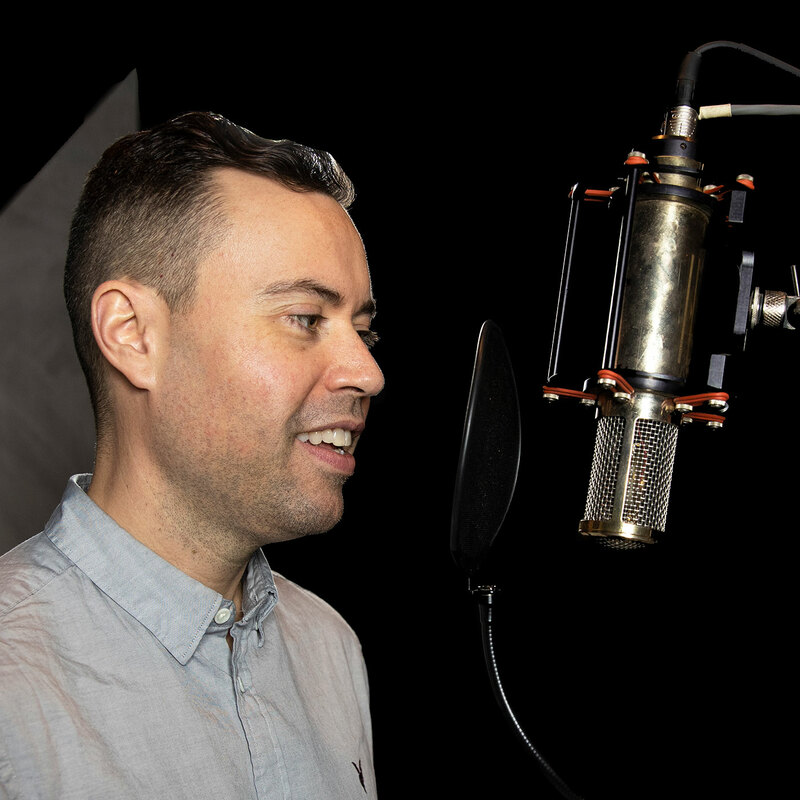 Jordan Harbinger is the host of The Jordan Harbinger Show, a top 50 iTunes podcast for over 12 years, where he dissects the playbooks of the world’s most successful entrepreneurs, iconoclastic artists and game-changing thinkers. VPhantom, CaseyB, schweiz and 11 others like this. Very nice update from Napoleon Hill's wisdoms. VPhantom and Nobert like this. Maybe he should take his own advice, and not link every other word to a new topic. This article opens 10 more browsers or more. This was a great article, and I enjoy reading this. One should always grow. Disclaimer: Trading futures and options involves substantial risk of loss and is not suitable for all investors. Past performance is not necessarily indicative of future results. The risk of loss in trading commodity interests can be substantial. You should therefore carefully consider whether such trading is suitable for you in light of your financial condition. The placement of contingent orders such as a “stop-loss” or “stop-limit” order, will not necessarily limit your losses to the intended amounts, since market conditions may make it impossible to execute such orders. Thanks for sharing. Nice to read and get some lessons. Keep it up!